I was diagnosed with Polycystic Ovarian Syndrome (PCOS) a few years ago. I had been struggling with PCOS and many problems associated with it for years before I was diagnosed. PCOS causes insulin resistance, which causes problems in a woman’s cycle and other body functions. This disruptions leads to elevated levels of estrogen, progesterone as well as testosterone and other androgen hormones. Women with PCOS can experience higher body weights, difficulty losing weight, hirsutism, painful cystic acne, brittle hair, mood swings, fatigue, heavy periods, irregular periods and more. If left untreated, women with PCOS run the risk of infertility and a higher risk of diabetes. There is no cure for PCO S and the effectiveness of prescribed treatments varies by woman. I have experienced all of the symptoms mentioned above and my family has a history of diabetes, so my diagnosis of PCOS was worrisome to say the least. Fortunately, my case of PCOS is not severe enough to prevent weight loss or to warrant a hysterectomy. I am fortunate in that regard, but there are women (some younger than I am) who are not so fortunate. I have experienced the frustrations of PCOS in less damaging forms. I have suffered the near inability to grow hair due to brittleness. My hair sheds just when I run my fingers through it. Brushing my hair pulls out clumps of full and broken strands. I have also had great difficulty losing weight. There have been many weeks where I have eaten 1300 calories per day and exercised regularly only to lose 0.25 lb per week. To compound the problem, I usually gain 0.5 lb the day after eating any amount of sugar. I get acne when my hormone levels are high and unbalanced. And, because it is due to hormone levels, my acne is very painful and usually centers around my mouth (which gets a lot of movement). Periods are also very heavy, painful and irregular. With my diagnosis, my endocrinologist prescribed Metformin, a drug usually prescribed to diabetic patients to increase insulin sensitivity, to treat my PCOS. I was very thankful for this prescribed treatment after reading horror stories of so many women whose doctors prescribed birth control instead of or in addition to Metformin in order to help override male hormones with female hormones. Each woman noted additional weight gain on top of the excess weight they carry due to PCOS as well as the near inability to lose weight. Most women also said that the treatment was almost completely ineffective and that they would rather not take birth control at all. My experience with Metformin has been mostly neutral, but I have been prescribed to take only two pills per day.The maximum daily dosage possible is four tablets per day. Nonetheless, I still experience side effects from the drug. Occasionally with Metformin, I experience arrhythmia, a known side effect of the medicine. My arrhythmia worsens when I drink any caffeine. I also experience muscle weakness and soreness along with fatigue due to Metformin, which hinders my energy and workouts. This makes it all the more more difficult to lose weight. Overall, Metformin has decreased my symptoms of PCOS (most notably my acne), but not significantly. After a month of use, it was clear that Metformin alone would not enough to treat my PCOS. So, I turned to the the community of PCOS sufferers online again to find alternative treatments. So, I began making big changes. Most women recommended treating PCOS naturally with juicing. Many recommended juicing alone at least the beginning of the diet change. I was still in college, though, and I could neither afford a juicer nor get the energy I needed from juice alone to get through all that a college kid needed to do. So, I did what I could and I started small. 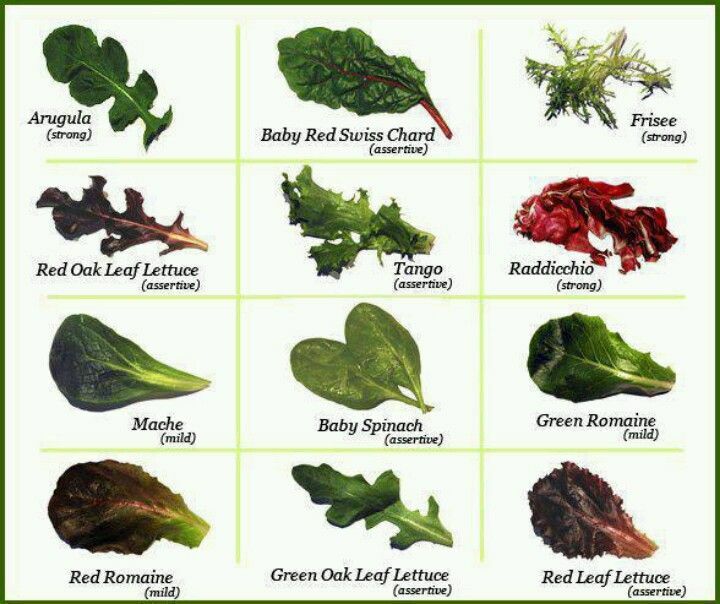 Many women commenting on PCOS forums advocated for leafy greens. My body had been denied vital nutrients that it needed in order to function properly, simply because I was not eating properly on a regular basis. To fix this, I made green smoothies using spinach, kale, lettuce, cucumbers, celery and apple juice. I chose apple juice, because it made the drink palatable and it is low in the glycemic index. I avoided other fruits in order to avoid adding more sugar. I avoided bananas most of all, which are tempting to throw into smoothies, but high on the glycemic index. I eventually starting adding carrots, bell peppers and sometimes ginger after reading more and more remission stories from fellow PCOS sufferers. The smoothies worked wonders for me. My symptoms decreased significantly. My energy increased immensely and over the course of three months of regular exercise, I was able to lose approximately 20 lbs. I also could not believe how quickly and drastically my hormones were better-regulated using only vegetables. When I began drinking green smoothies, I had not had a period once in the last three months. It began less than two hours after I drank my first green smoothie. My period then occurred regularly thereafter. I have to reiterate that my case of PCOS is not horribly severe. However, it was bad enough to cause a great deal of weight, hair, and menstrual problems and worry for me. I used the green smoothie treatment everyday for over a year. Over time, though, it became difficult for me to drink the same thing day after day. The taste was not tantalizing and the sheer volume of pulp became too difficult to choke down everyday. I eventually came to hate the thing that was helping me. So, I tapered my consumption to every other day and then to twice a week. Eventually, I was down to once per week. Once I graduated from college and became wrapped up in work, I was drinking maybe one smoothie per week and felt constant guilt in the back of my mind about my lack of effort. Surely enough, over time my symptoms came back in full force. I had painful cystic acne around my mouth and I could not lose weight regardless of how few calories I ate or how many times I worked out each week. Fortunately, my periods stayed relatively regular mostly due to the fact that I was lighter than before not gaining weight. However, I knew that I could not maintain this standstill in healthy way. Something would need to change. Around that time, my sister bought a centrifugal juicer. I was excited to try it – a way to get all of the veggies that I needed without the heavy, pulpy sludge that came with a smoothie made in a blender. I visited her on the weekends and made juices at least once a daily during my visits. It helped mitigate the symptoms of my PCOS. However, it was not relieving my symptoms nearly as effectively as the green smoothies had done in the past. I had no idea why, but I knew that I needed an alternative to the smoothie ASAP. So, I went to do research again. I found that there two types of juicers (centrifugal and masticating) and that they are very different. The centrifugal juicer extracts juice by grinding the fruit or vegetable against a sharp surface and spinning the juice away from the pulp through fast motion. Basically, the food is ground up into small pieces and thrown against the sides of the juicer. All juice from the small pieces of food trickles down the walls of the juicer and this is what is extracted. This process is effective for large vegetables and fruits, especially juicy ones such as apples and celery. The masticating juicer, on the other hand, basically chews food and squishes all of the juice out of each piece of food that it chews. The masticating juicer is more effective for leafy plants. With the centrifugal juicer, I was not getting much of anything out of the leafy plants, which was what I needed the most. That is why the green smoothie was a far more effective way for me to treat PCOS naturally. As I mentioned, by this time I had graduated college and began working. This meant that I finally had the money to afford a juicer. After reading a few websites, such as this one, I was fortunate enough to know exactly what my body needed. Treating PCOS naturally with juicing was highly recommended in PCOS forums for good reason. Due to the fact that the fiber is removed from the vegetables (which is found in the heavy pulp), your body has less to process and therefore the nutrients are absorbed into your bloodstream for the greatest and fastest effect. So, I made an investment into a slow masticating juicer . It would not only provide the aforementioned benefits, it also prevented oxidation of the veggies allowing them to maintain their enzymes. This provided me the full nutritional benefits of the greens. When I first bought the juicer, I kicked off the diet change, as recommended, by using a juicing diet. This consisted of drinking only juice for one week. The results were phenomenal. My hirsutism receded; my hair became stronger for the first time in years. I lost weight through diet alone and lost weight more easily with exercise. My energy was at its highest in years. I was also able to cut my Metformin intake to once daily. Once I felt that my body’s nutrition was stable again (after approximately two weeks), I started eating unprocessed foods that were high in nutrients. I still juiced for at least one meal per day (usually breakfast). Due to the fact that I love the taste of the juice, though, it was easy for me to drink it regularly. I still drink juice once daily and the benefits of it have not waned over time. Even if you do not have PCOS, this is a tasty way to get vitamins and nutrients that your body needs with little toll on your taste buds and digestion. Avoid sugar and starchy carbohydrates, because they will cause your blood sugar levels to spike, which will in turn raise your hormone levels. Use stevia to sweeten things. It has a zero ranking on the glycemic index. Cinnamon helps regulate blood sugar levels. It can lower blood sugar spikes by helping muscle absorb glucose. Avoid caffeine completely if possible. It stimulates hair growth, which only exacerbates hirsutism. Avoid processed foods as much as possible. Eat raw foods as often as possible. Although it is not fun (I miss quick, cheap dinners and snacks), your PCOS will lessen. That will make you a happier person. Plus, your body will just be healthier. If you get a masticating juicer, you can make other cool foods, such as natural ice cream, butters and salsas. You can customize these recipe to fit with a PCOS-friendly low-glycemic diet. Just a few strawberries and a dab of Stevia makes a delicious ice cream that is low in calories and beneficial to your health. And, it does not exacerbate PCOS. Losing excess weight (especially in the paunch of your belly) will help your body regulate its blood sugar levels more effectively. This will in turn regulate your hormones more efficiently. Exercise regularly and include plenty of strength-training exercises. Drink plenty of water. It keeps you from drinking bad things and it helps your body digest foods and perform its necessary functions. First and foremost, ensure that your body is receiving all of the vitamins and nutrients that it needs. Secondly, remove any foods from your diet that may be causing the issue. If a proper diet does not fix your issue, then consider medicine and/or a visit to the doctor. If you have any suggestions on how to treat PCOS naturally with juicing or otherwise; or if you have your own story of you treated your PCOS, please tell us in the comment section below. I always love to hear tips and encouraging stories from other women! I am now supplementing my juicing regimen by treating PCOS with inositol and spearmint tea. Combined, juicing and inositol are naturally making a bigger difference for me than Metformin was ever able to accomplish. Women who have PCOS usually have thyroid issues and thyroid supplements from animals (such as this one: https://www.pureformulas.com/thyroid-130-mg-90-tablets-by-american-biologics.html) can help. Neethu - Hi….nice writing ..I am married for 1yr n Nw nly diagnosed with PCOS but they told me I am deficient of progesterone and on medication dufastone ..iam 54 kg with a height of 150cm. but I have little belly fat…so is der any need for me to reduce my body weight or should i concentrate on breaking my belly fat ….plz advice n guide me ..